When Yosi Sergant was recruited by the Obama campaign in 2007 as a media consultant, he was told: “we’re not going to win unless people who normally don’t show up show up.” It was his task to bring new people to the polls. Yosi was new to politics, so he asked: where should I start? They told him: go and get an endorsement from the Fresno Bee. Yosi looked at his bosses in disbelief. He didn’t know much about politics. But he knew something about young people. And he knew that the Fresno Bee’s endorsement wouldn’t mean squat to them. 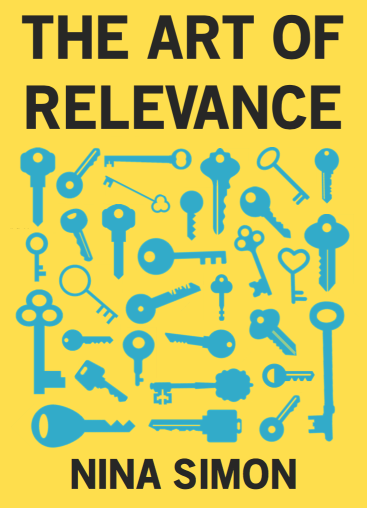 Relevance is an exercise in empathy—in understanding what matters to your intended audience, not what matters to you. Yosi’s audience was people who have rarely voted historically: young people, people of color. They were outside the traditional world of politics. Maybe they saw the doors to enter. Maybe they didn’t. For whatever reason, voting wasn’t relevant to them. Yosi knew that getting young people to the polls wasn’t a matter of getting endorsements from newspapers or traditional “get out the vote” campaigns. He had to reach the right people, with the right message, delivered by the right messenger… a messenger trusted by the young urban adults he sought to reach. The messenger he chose was Shepard Fairey. Shepard was a graffiti artist, skateboarder, and philosopher-king of the streets. He was a guerrilla activist, known for stylized posters of Andre the Giant with the word OBEY plastered menacingly across them. He operated way outside the Democratic establishment. Yosi ran into him at a party, where they chatted about their mutual admiration for Barack Obama. Yosi asked: do you think you could do something to help get him elected? The next day, Shepard called, asking if the campaign might be open to a poster in a street art style. And the iconic HOPE image was born. Yosi and Shepard orchestrated a series of events, images, and merchandise under the Manifest:Hope banner. Manifest:Hope was a movement, an art exhibition, a concert series, a t-shirt, a Facebook plugin. It was everything that spoke to the community they wanted to reach. It was the key to the door of a meaningful election, a candidate who gave people hope. And young people of color came and they saw. They bought and they voted. Yosi couldn’t drag young people to the polls. He couldn’t tell them that Barack Obama was relevant. He could only present Obama to them in relevant terms.